Back-up singer for the Tusken Sound Raiders. New bundle is the Unknown Armies bundle! I figured it'd be a good idea to have a BoH thread since there's already been separate threads about it already. For those who don't know, the Bundle of Holding is a weekly (I think) bundle of a specific game that you can get for dirt cheap, with a bunch of nice add-ons if you pay a little more. Ten percent of your purchase are donated to the creators' choice of charities. 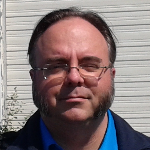 When you've purchased your stuff, you download via DriveThruRPG, which I'm sure most are familiar with. Railroad Diary, a place where I occasionally put words. Forgot to check back on the BoH site? So did I! In less than two days, the newest bundle will expire. What Bundle is that, you might ask. Fell in love with EP through Know Evil or any of the one-shots RPPR have run for EP? Get your copy or all the core books (except Rimward, for whatever reason) and señor Caleb Stokes' adventure The Devotees, which you and I helped raise money for through Kickstarter for roughly $20 dollars. Or you could buy it for a friend as a gift. Let me GURPS that for you. PARANOIA is up on the bundle. Buy it! It's fun and fun is mandatory! I definitely want to see RPPR play paranoia. Friend Computer demands it! New Bundle up for you hard sci-fi lads! Would have gotten it myself, but I'm on a tight budget atm. Well, that didn't last long. Scarred Lands bundle now up for grabbing! Unknown Armies is now a bundle (again), which I'm sure is going to please most on these boards. Think I'll grab myself some pdfs as well. One-Roll Engine Bundle is up now, including Better Angels. Heavy Gear 3rd edition is on Bundle of Holding. Heavy Gear was my favourite mecha rpg/wargame of the ‘90s, great setting, beautiful art, great mechanical designs. I hesitated to post this right away because the 3rd edition honestly wasn't the best edition of HG, but most of the non-game mechanics material is from the 1st & 2nd editions and the addition of The Art of Heavy Gear Volume 1 makes the bundle worthwhile. The art & mechanical designs were a big selling point for me. So there is a Car Wars Bundle up now, no doubt drumming up interest in the upcoming new edition of Car Wars. The core of this bundle of holding is the Car Wars Compendium from 1998, a collection of rules & supplements from the 80's, reprinted when SJG produced a new boxed set. So if you're nostalgic for 80's-90's gaming, or curious about this chapter of gaming history, this is a relatively cheap way to scratch that itch. That's right! 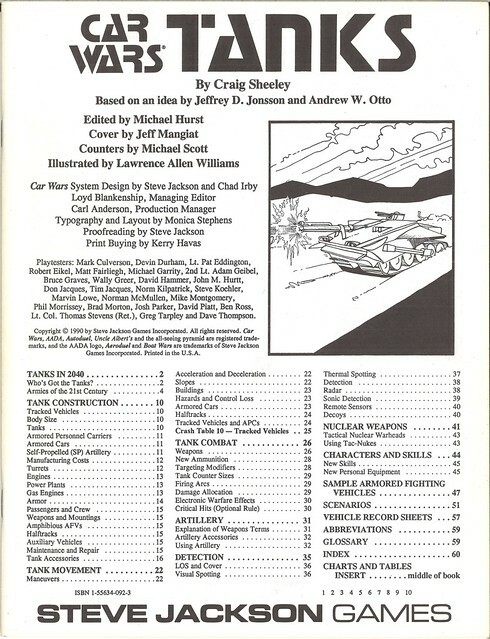 Car Wars Tanks, rules for adding tanks, artillery, electronic warefare and nuclear weapons to your game of Car Wars! Now I think most of us on this forum have at least heard of, if not experienced firsthand, the phenomenon of supplement bloat, but this has to be one of the most hilarious examples. 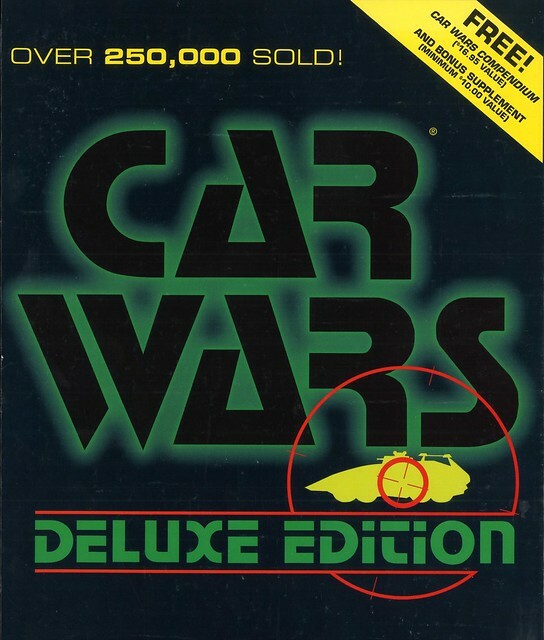 The steps that led up to the release of this supplement were all perfectly reasonable: Car Wars originally was just about cars, there were no rules for other vehicles. But the game was popular and people wanted more diverse vehicle choices, so rules for motorcycles, trucks, boats, aircraft and pedestrians were released. And eventually, having exhausted other possibilities, SJG released what I like to call the non plus ultra of Car Wars. Because once the tac-nuke armed tanks show up, your game of machinegun-toting armoured hot rods is over.